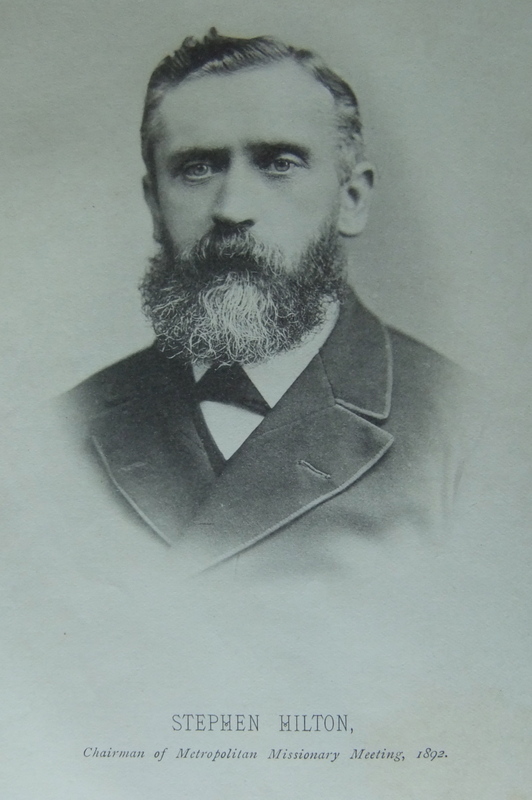 Stephen was born in early 1845 at Leicester of poor and pious parents, Joseph Hilton and Mary Ann Smith. He received his early training at the Baptist Sunday School. He was drawn to the old George Street Chapel by a companion and there found his faith at the age of 18. Stephen began his working life as a currier, working as a journeyman for two years after his apprenticeship. He then commenced business on his own account as a currier, leather cutter and grindery dealer. After eight years of successful trade, Stephen started to manufacture boots and shoes for wholesale houses. He then expanded the business by opening his own shops across the country. By 1892 he had 40 shops and a factory employing 200 operators with modern equipment. His obituary records that in all his business transactions, Stephen was honourable and straightforward, his character was beyond suspicion and where best know he was most revered. Within his own circuit, Stephen served as a Sunday School Teacher, prayer leader, class leader, local preacher and circuit steward. He attended Claremount Street Chapel in Leicester. Stephen was also a trustee of several chapels in the circuit. Stephen served as district treasurer for the orphanage fund for 25 years. In 1906 Stephen was Vice-president of Conference and chaired the annual Missionary meeting in 1892. Stephen was a good Liberal. When County Councils were first established, he was elected to serve the Belgrave division of the first Leicestershire County Council. 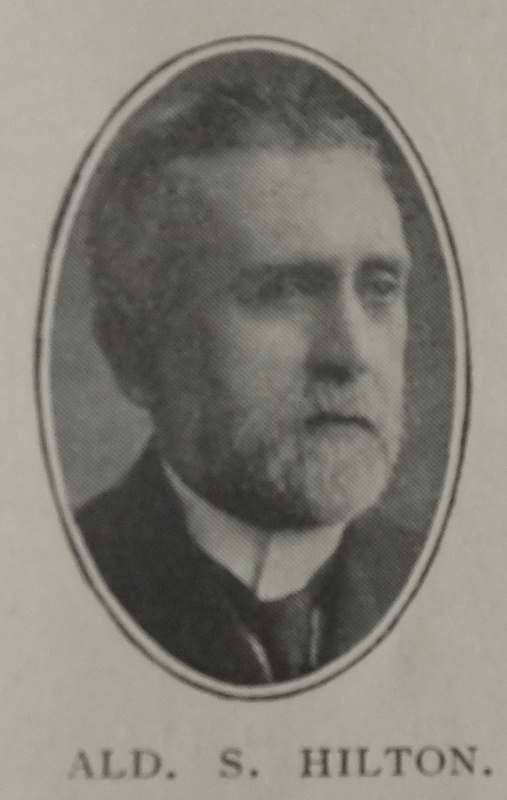 Stephen served as Mayor of Leicester (1904) and was conferred with the honour of Alderman (1907). He was Chairman of the Liberal Club, President of the local YMCA and an ex-president of the local Free Church Council. He became a Justice of the Peace in 1905. In masonic circles Stephen was greatly honoured. Stephen married Harriett Gibson in the spring of 1867 at Leicester. Census returns identify seven children. Stephen died on 16 March 1914 at Bournemouth. This page was modified on 18 June to add a transcription of a short report in the Primitive Methodist Magazine 1906, following his appointment as Vice-President of Conference.